Learn how to create surreal street scene with the 3D models, water reflections, underwater textures, also learn how to create water line effect from scratch. 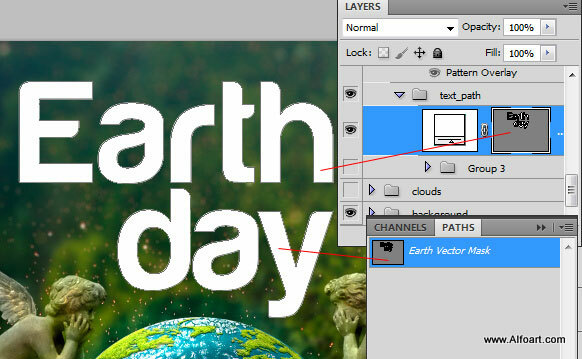 You may get .psd* file of "Earth Day Clouds Text Effect.". 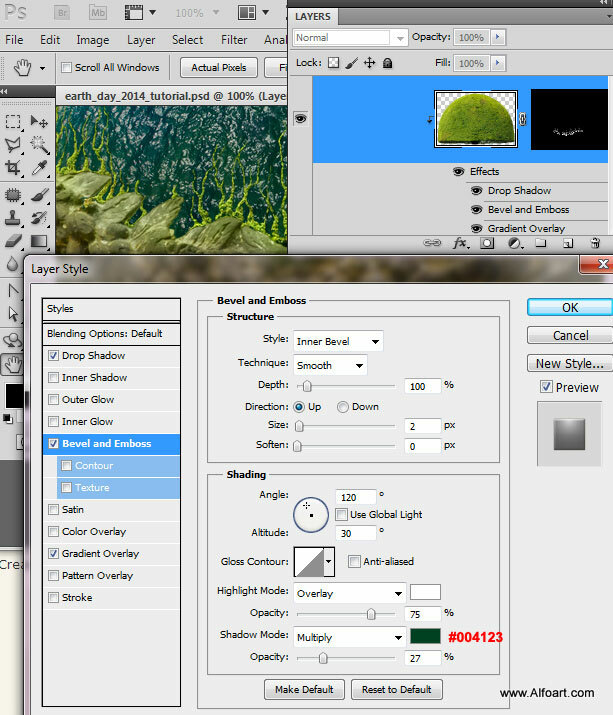 Photoshop tutorial by making a payment. Put the tutorial title in "Add special instructions to seller" line of PayPal and it will be sent to you shortly. Add shiny/bright effect to the blue "ocean sphere". 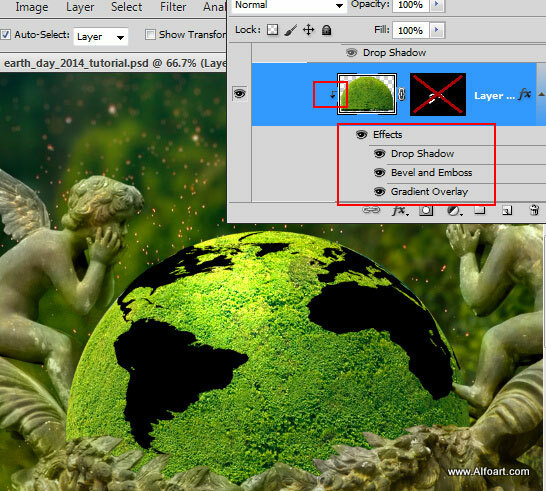 Load selection for the blue sphere layer. 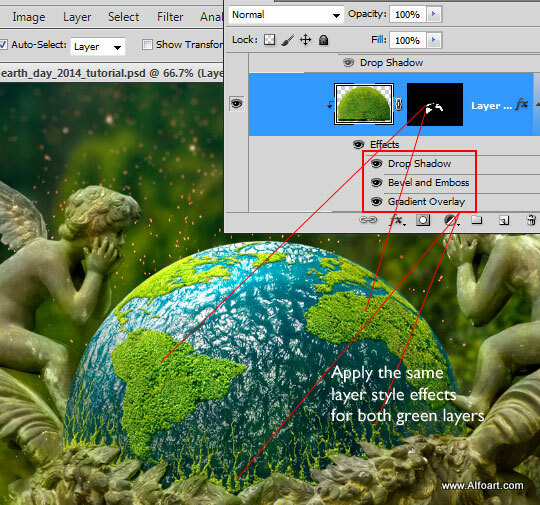 Create a new layer above the "moss shapes" and fill it with any color. Apply fill = 0%. 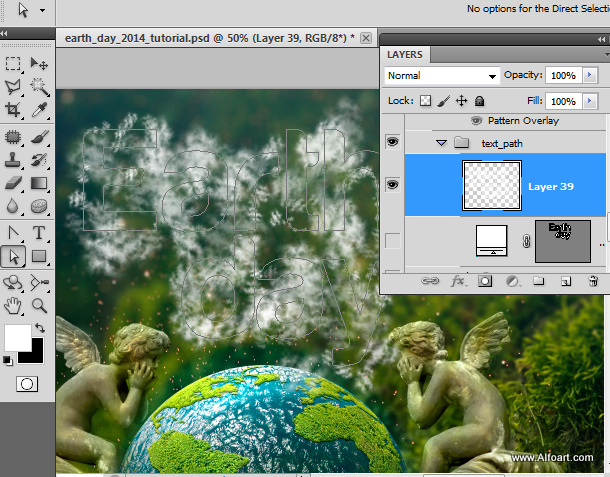 Create Clipping Mask as previously. 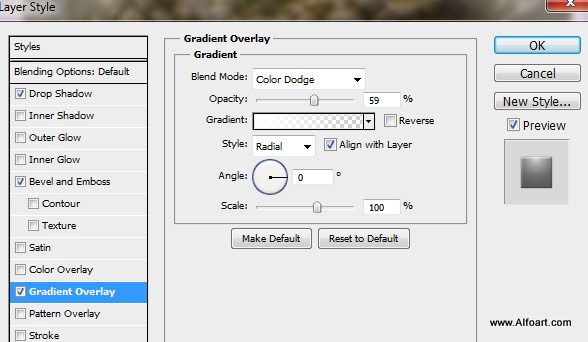 Apply Gradient Overlay style to this layer. 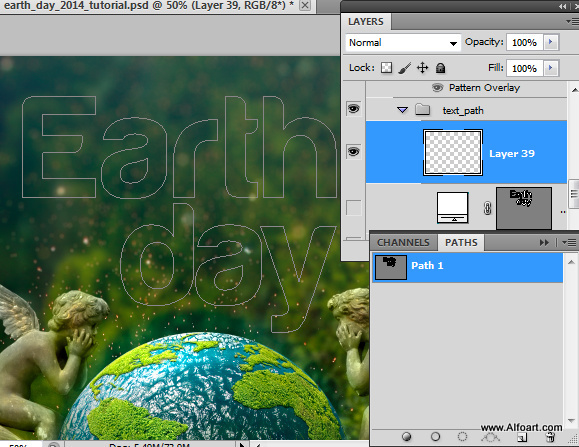 Insert Green texture shape once again, place it above all created layers. Place Black Map silhouette image above the green shape. We need this layer only to load selection for the map silhouette. 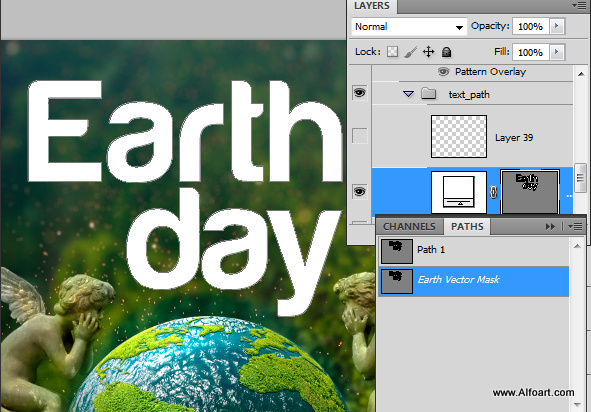 Apply Clipping Mask again, also add Layer Mask to the green shape. 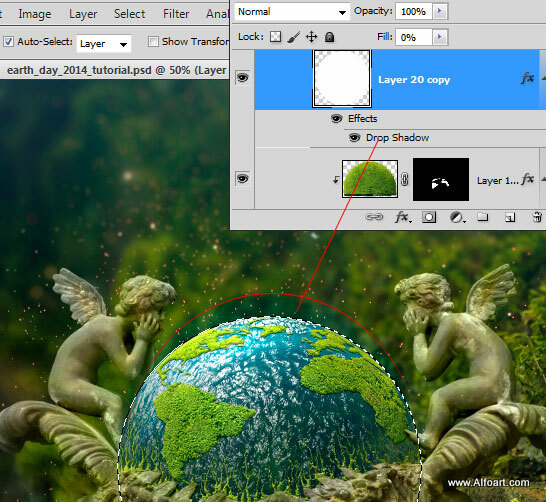 Load selection for the map and remove this layer or make it invisible, go to Select > Inverse. 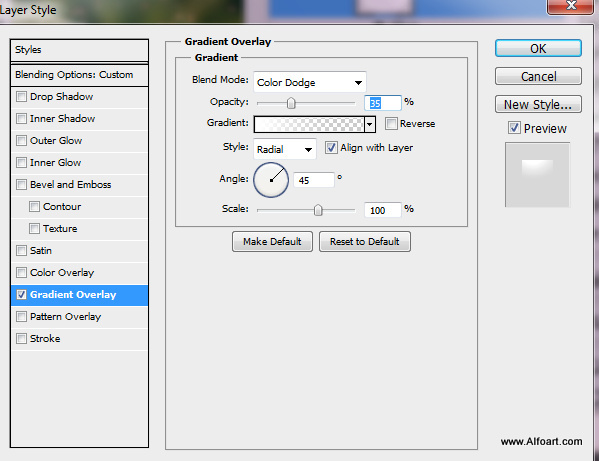 Return to the "green shape" layer, make active Layer Mask and fill inverted selection with the black color. You should get the green map shape above the blue ocean sphere. 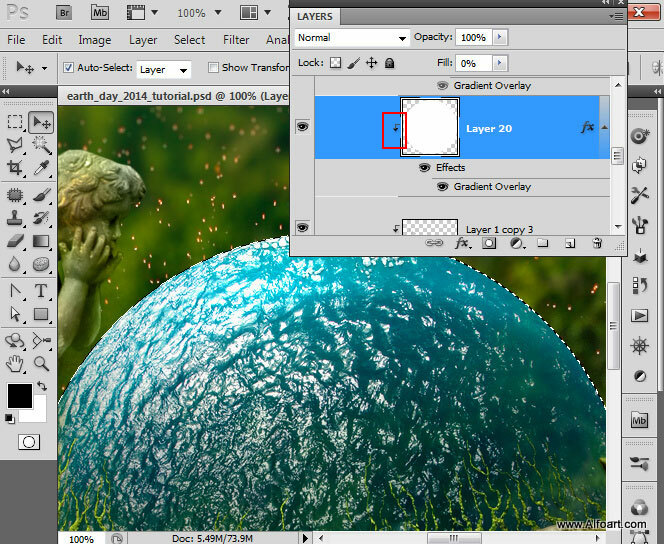 Apply absolutely the same layer style effects as for moss shapes in the bottom part of sphere. Finally, in order to create a hint of ocean blue glow above the sphere, load selection for the blue sphere, create a new layer, fill it with any color, apply Fill = 0%. 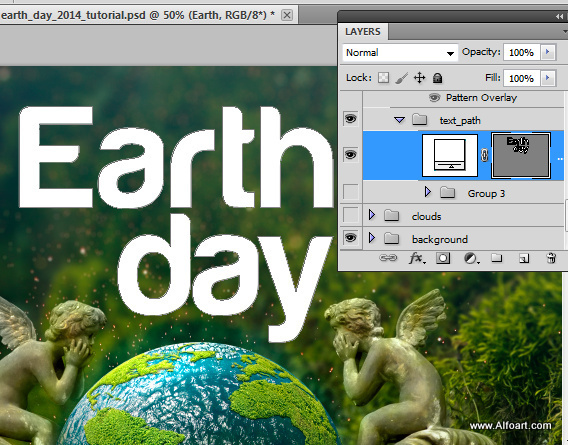 To create clouds text effect, type the text with any smooth bold font. 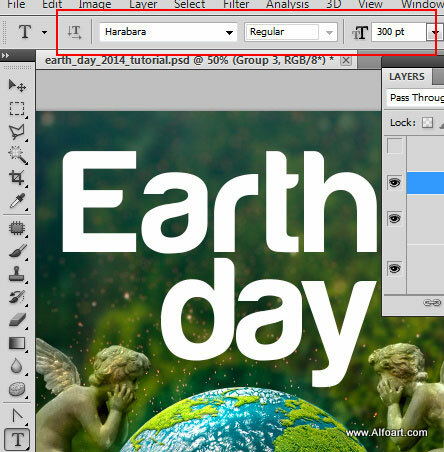 Right click text layer and choose "Convert to Shape". Duplicate path, drag path thumbnail to the bottom small "new path icon" . We need second path to use it separately of the white text shape in future steps. 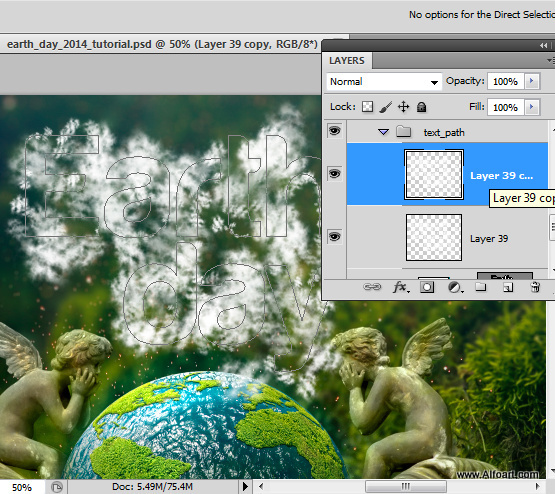 Make text shape(white) layer invisible(do not delete it, we will use it later). Go to the "Paths" tab and make path active. Download brushes. 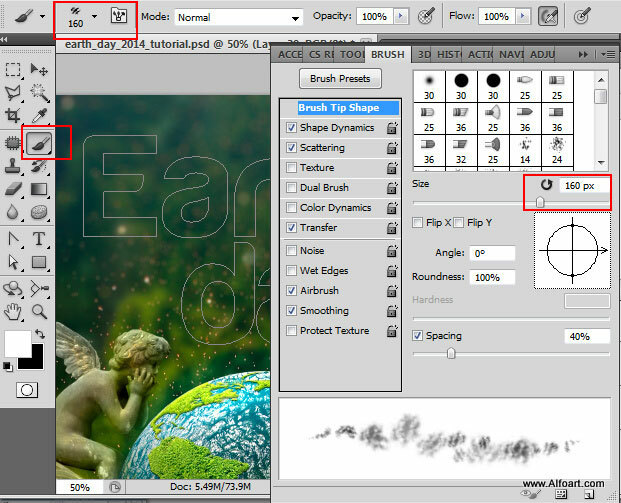 Take Brush Tool, choose "Bottom Cloud" brush, 160px size. 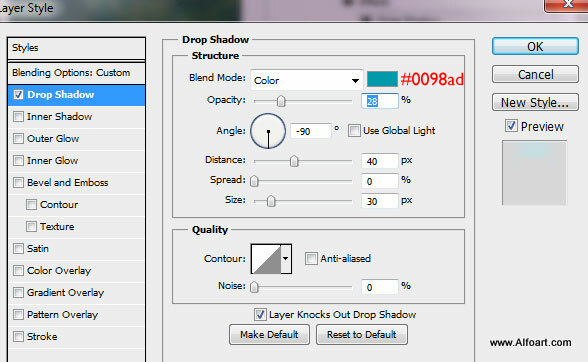 Then choose Direct Selection Tool. 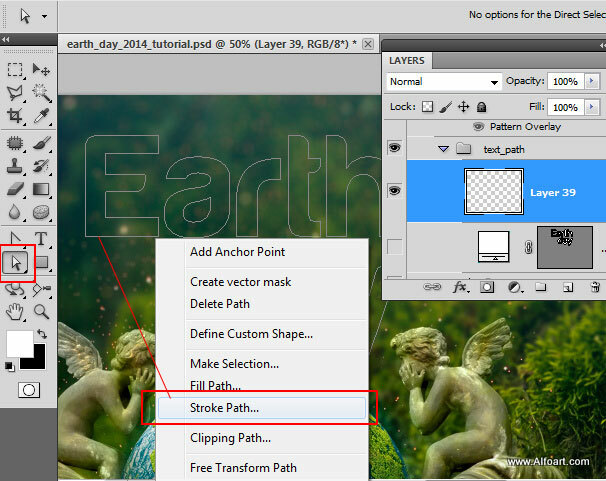 Touch Path with the Direct Tool, right click and choose "Stroke Path". 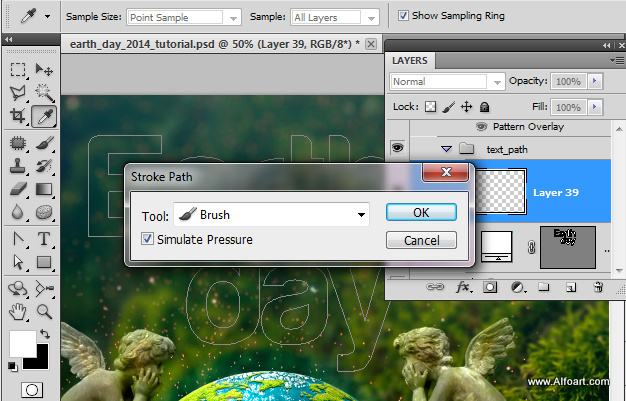 Choose Stroke Path with Brush tool, check "Simulate Pressure", click "Ok". Here is the result of applying "cloud brush". Duplicate this clouds layer to make clouds more prominent and sharp, then merge both clouds layer to get one merged cloud layer.